Чем привлекает Nova 3? Флагманским заделом. Я не решил, оптимальна ли цена в виде 30 тысяч рублей... Он не совсем конкурирует с Honor 10 и Huawei P20, а находится между ними и предлагает чуть иные программные возможности. Смартфон мне понравился, и понравился в первую очередь камерой, но, безусловно, уникальным решением в целом его не назвать. Опять же, в линейке устройств Huawei и Honor нет смартфона с более прокачанной фронтальной камерой. Скоро мы увидим Honor V20 с новым фронтальным модулем, но все равно меня терзают смутные сомнения по поводу победителя при детальном сравнении. Huawei Nova 3 совершенно не похож на предыдущую модель линейки Nova: смартфон получил двойную фронтальную камеру, мощный процессор и яркий стеклянный корпус. Мы познакомились с новинкой и готовы поделиться первым впечатлением. Смартфон Nova 3 можно рекомендовать всем тем, кто ищет аппарат в средней ценовой категории не только с имиджевой внешностью, но и достаточно мощной начинкой. Среди других достоинств этого девайса стоит отметить качественные дуэты камер с поддержкой ИИ, разблокировку по лицу при любом освещении, хороший беспроводной звук, интерфейс NFC, а также неплохую автономность и быструю зарядку. Super Night Shot mode is one of the best smartphone features I've seen in a long time and this is just the beginning (so cliche, I know). My colleagues who took the photos above also enjoyed using it and to sum up the experience, it's a really convenient way of going around the city streets for a night photography activity without having to bring a tripod around. Does the Huawei Nova 3 provide “real” golden camera performance? Despite its gorgeous appearance, the Huawei Nova 3’s camera capabilities are definitely not a problem. Going for an official price of RM1919, we heartily recommend that you go to the official Huawei store, authorized dealers and Huawei official online shopping platform to buy this phone! Stay tuned for more tech news and reviews at TechNave.com. The Huawei Nova 3 is likely the most stylish smartphone with a full-screen display and notch display which looks compulsory in all 2018 smartphones. It has good battery timings with good camera results, only the price is a little high. It would have been much better if the price is around 45k, let’s wait and watch for the customer response. 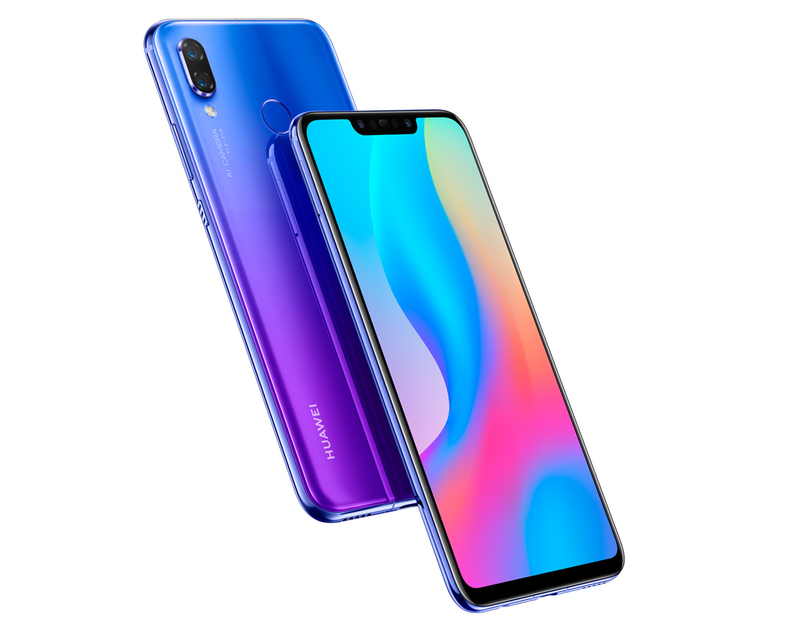 Huawei Nova 3 comes with the quad-camera setup, which makes it unique in this price category. In daylight conditions, the cameras performed really well. The only issue which we had was in terms of focus, as the device takes a few seconds to properly focus the subject, which often leads to mixed results in low light conditions. However, once the focusing part is done, the Nova 3 can take on the OnePlus 6 and Aus Zenfone 5Z. Apart from the cameras, it features some of the best specifications, the display surely looks promising and the device's overall performance, including the battery life, is impressive. Huawei is known for producing excellent value smartphones and the Huawei Nova 3 is no different. Even though it directly compete with OnePlus 6, it still stands strong by offering Quad Camera and a beautiful looking phone. The Huawei Nova 3 is a great camera phone. It comes with quad cameras, but to be honest, the cameras work better when you turn the AI mode off and use the main camera to capture images naturally. The AI feature, however, assists you when you want to capture photos in low light. The phone can also perform well and can run games easily but with so many smartphones from Huawei and Honor out there running the same processor, which one should you get? Well, Nova 3 is a good choice if you’re a Huawei fan and want a phone with a great camera. Nova 3 is a good package to consider at Rs 35,000. The phone has a newer design and four cameras that will appeal to a lot of users. The build quality is great and thanks to the Iris purple colour option, Nova 3 looks stylish. I would say it competes closely with OnePlus 6 in terms of what it offers, though on the camera front OnePlus has the edge. Huawei Nova 3 is a well-rounded phone, though I wish the user interface was a little less cluttered. Huawei Nova 3 Review – Flagship to beat? As a flagship smartphone, it is expected to give consumers a great gaming experience, high-quality photos and seamless web browsing that lasts for a long time. All these standards met as we tested the Nova 3. However, our experience will not be the same as the others in real life that’s why in the end it will be all up to the users’ perspective. If there’s one thing we have learnt so far in 2018 is that the action in the smartphone market is slowly shifting to the Rs 25,000-Rs 40,000 bracket. It’s also a segment where customers are hardest to please as they don’t just want bang for their buck but they want more. The Huawei Nova 3 is a good smartphone that has a great design, vibrant display and a battery that won’t let you down. Yet, it’s let down by the processor it runs. The Kirin 970 while being a competent processor doesn’t really match up to Qualcomm’s Snapdragon 845. It’s nice to see Huawei finally bringing more of its products to India, and the Nova 3 is definitely a very interesting option. However, in addition to competition from other brands, the Nova 3 has to contend with some sibling rivalry first. The Honor 10 (Review) and Honor View 10 (Review) offer very similar features as the Nova 3, and are also priced a little below Rs. 35,000. Of these three, the Nova 3 does feel like the best choice even though it’s more expensive, as it has a more modern design and strong battery life. The Huawei Nova 3 packs all the features that are in demand this year. It particularly excels in the design. The dual tone glass back looks simply stunning. But the good looks inside is marred by an ugly EMUI interface. The performance of the phone also isn’t at par with the competition, and the AI features are a hit or miss. The camera on the Nova 3 is good, but quite inconsistent. Overall, this is a device that will work best under ideal conditions, but a little out of the comfort zone, and the shortfalls start showing. The Huawei Nova 3, when seen in isolation, is the perfect mid-range smartphone. It offers some allures of the more expensive phones, such as a large display, premium design and fancy camera features but at a lower price. The performance is exactly where you'd expect it to be and the phone neither blew our minds nor disappointed us in any way. Huawei Nova 3 Unboxing, Quick Review: The Super Nova! Well, Ladies and Gents, it looks like Huawei has got you covered too because they just announced the availability of the budget flagship device — the Huawei Nova 3 — and we’re here to take it out of the box and show you what it has to offer before it goes through our review process. That said, the Nova 3 is priced at Rs 34,999 which is nothing but the same price the OnePlus 6 is currently offered. However, the Nova 3 has doubled the storage 128 GB versus the 64 GB on the OnePlus 6. Also, the quad cameras and the AI capabilities add to the overall package. What do you think of the HUAWEI Nova 3? Recenze: Huawei Nova 3 – pan dokonalý? Huawei Nova 3: Trải nghiệm smartphone cao cấp với mức giá hợp lý! 90% مراجعة للهاتف Huawei Nova 3: سوبر نوفا!